I love the paper flowers I can make using the spiral shapes available on the Cricut Art Philosophy cartridge! Here's a little demo showing you how! Very nice video. I was just thinking of trying to make some and you post this. Great timing! I have several Quinceañera's to attend this year ( all my daughters friends...) thought of making a nice wall art with their invitations, pictures and these flowers in the party colors. Any other suggestions or ideas? I will update my blog this week I promise, have artwork to share! Become a Consultant and join me at Convention! Digital Scrapbooking Tutorial - Love your layout! 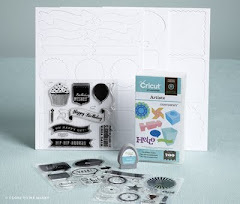 Free Cricut Art Philosophy Collection!